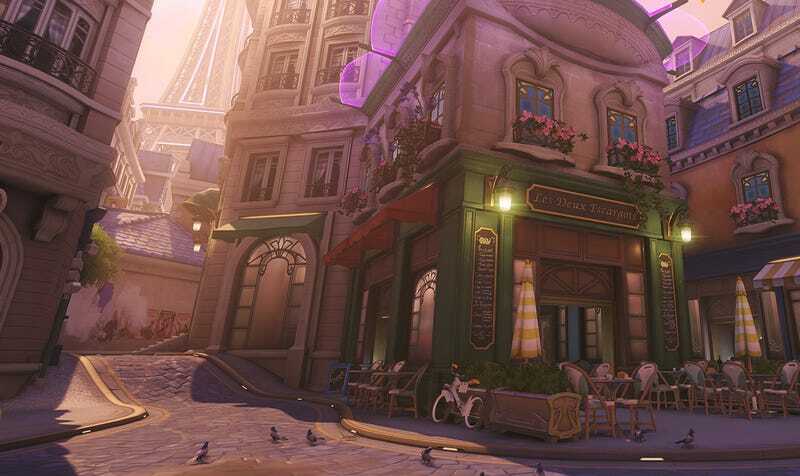 Surprise surprise, Overwatch—which players have taken to declaring a veritable dust bowl of new content in the wake of yet another seasonal event retread—is getting a new map. This one’s set in Paris, the city of romance (and now, romance’s close friend, Death) just in time for Valentine’s Day. Blizzard revealed the map without a ton of fanfare (or even a trailer), saying that it’s an assault map, meaning that one team attacks points and the other defends. No payloads. It’s on Overwatch’s PC public test server right now, so get to it.